Tagore had set up Visva-Bharati in 1921 and it later became a central university. Kolkata: The Visva-Bharati university authorities will not allow shooting of any film in its campus which may have a contrarian view about Rabindranath Tagore, officiating vice-chancellor Prof Sabujkali Sen said. Ms Sen, who took over as officiating V-C earlier this month, said the Visva-Bharati would scan scripts to check whether that would go against the vision and ideals of Tagore, and hurt the sentiment of the people staying in the compound. “During my tenure (as Officiating V-C), shooting permission will not be allowed on Visva-Bharati compound for any film project having a contrarian view about Gurudev Rabindranath Tagore,” Ms Sen told PTI. “If I judge a personality by dissecting him and project one side of him, there is a possibility of making mistakes. 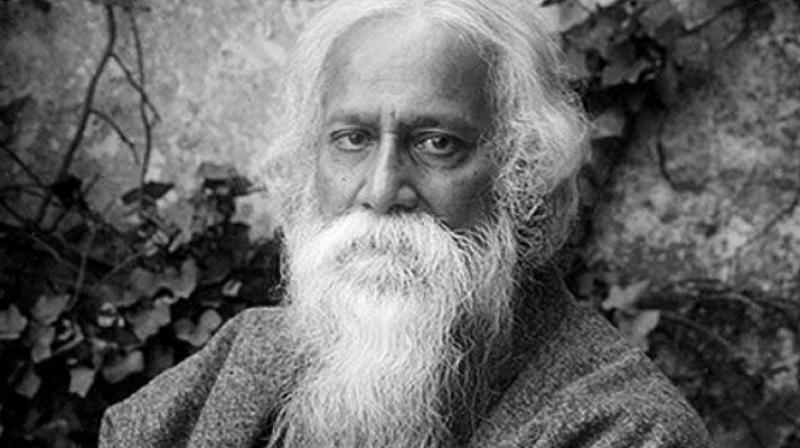 If we see Tagore in totality, we will discover he cannot be dissected, his life cannot be dissected,” she said. Ms Sen has been associated with the Visva-Bharati for over four decades since she came to the university in 1971. The previous officiating VC had permitted a film and a part of its shooting has already taken place, she said adding that she would ensure such things do not recur for future film projects till she is at the helm. Ms Sen, however, did not name any film. Her predecessor Prof Swapan Kumar Dutta had okayed the script of ‘Nalini’, a bilingual movie, after an experts panel set up by him went through the original script and sought some changes which were carried out, the film’s director Ujjwal Chatterjee told PTI from Mumbai. Nalini is a Marathi-Bengali film on the relationship between teenaged Rabindranath Tagore and Annapurna Turkhud. She was the daughter of a family friend, based in Maharashtra, who had taught him Western manners before his trip to the UK.